I feel like I'm subconsciously preparing for Baby A's arrival by learning how to cook all my favorites as quickly as possible. 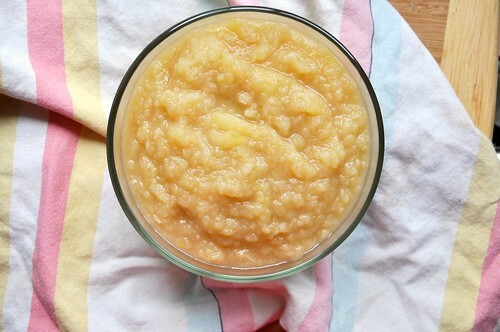 Each fall, I look forward to making homemade, slow cooker applesauce. I spent a good amount of time peeling and chopping apples, then toss everything in the crock pot and let it stew all day. Pretty easy. Problem is -- it takes at least 3 to 4 hours. 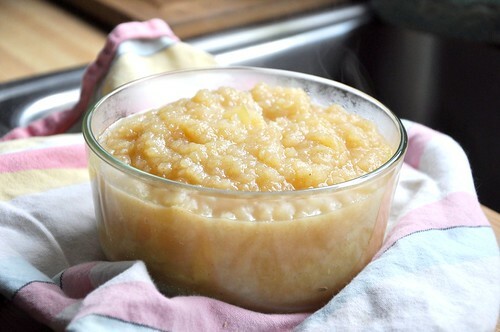 Then a friend mentioned that applesauce can easily be made on the stove-top in more like 15 minutes. The aroma may not fill the house all day, but THAT'S FAST! And since one of my goals is to freeze a ton of applesauce for the winter . . . I need speed. Peel, core, and slice apples. Toss them into a large stock pot. Lower heat, cover, and let cook for another 10 minutes. Again, return to the pot to stir on occasion. 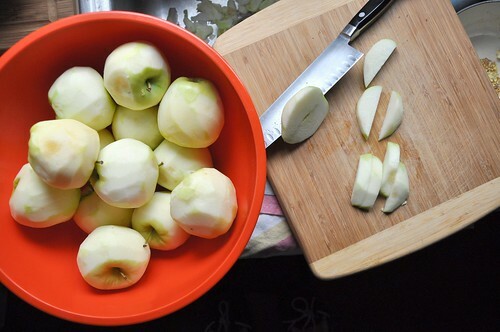 Then use a masher to mash apples for a nice, thick and chunky sauce. 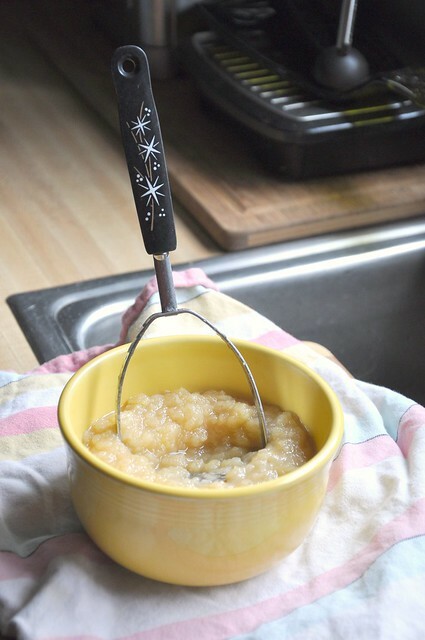 Or use a food processor for a smoother applesauce. If you want to make in bulk and store your applesauce, simple clean out some quart canning jars, pour in applesauce until it reaches an inch (or maybe two inches) below the top of the jar. Let cool completely before putting on the lid. Then freeze for up to 6 months! 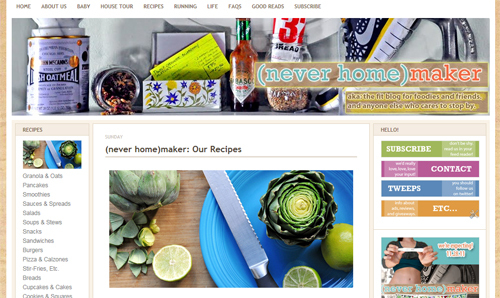 Baby-post followers: Don't miss my post all about 34 weeks on (never home)maker, baby! It was a rough week, but not all bad. And don't forget that we've added 80+ recipes to The Recipe Archives, all organized by category.